To install UMI.CMS to the web hosting you have to create a domain name for the website. If the domain has already been added to the section “Domain names”, then proceed to step 2. 1. Create a database which is necessary for the correct installation of the UMI.CMS. Go to “Instruments” menu in the control panel -> “Domain names” and press “Create a domain” button. 2. Upload the UMI.CMS installation archive to web hosting. To download it see the official website UMI.CMS. Go to “Instruments” – “File manager” and open your domain directory (in www folder). Press “Upload file to current folder” button , select the distribution file and click “Ok”. Download the PHP installer to web hosting, too. 3.If you use install.php automatical script do the following steps: open your website using http://your_domain_name/install.php link after installing it on web hosting. Follow the instructions of the installer. Note, you may find different versions of UMI.CMS in the archive. Download the necessary version of the distribution, upload it on web hosting, to extract the archive press “Upload file to current folder” button. . 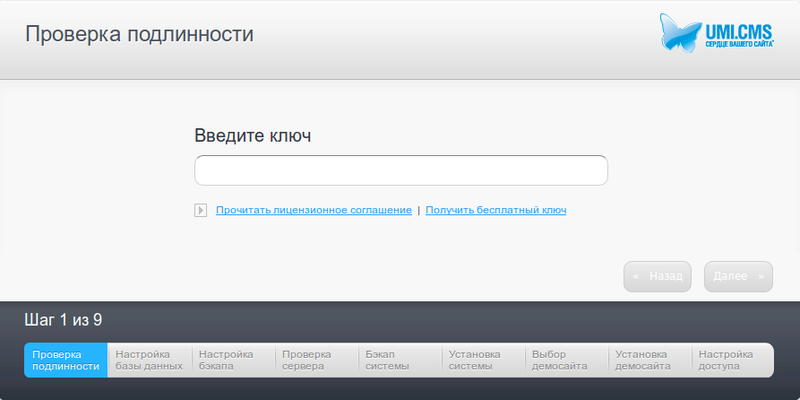 Check the location of UMI.CMS files after extracting. If you want your website on UMI.CMS to open by the domain name then index.php file must be placed in ~/www/your_domain_name) directory (in the example it is ~/www/unihost.link directory). You may delete the archive, you do not need it any more. 4. Go to “World Wide Web” -> “WWW domain” in the control panel. Setup the domain parameters with the double click. Type “index.php” (without the quotes) in the “Index page” field and specify the encoding (the same as for the database, utf8 by default). Type the key or get the key for free. 6. Then you have to specify the user data and the database that we previously created (Paragraph 1.). 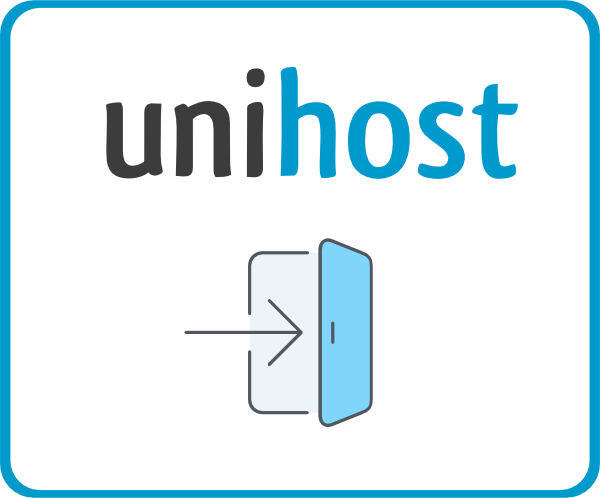 The address of the database server on unihost.com web hosting is localhost. 7. Choose the website template. The selected template will be displayed on your website on a direct link. You may fill it with the content now. To do it log in to the administrative part of the website control Panel using http://your_domain_name/admin link. 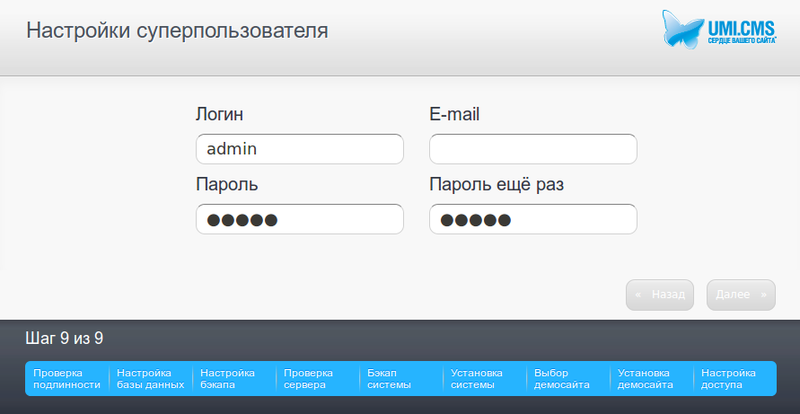 We recommend to change the password to complicated one after logging in to the control panel to avoid hacking the website. To activate a license enter the license key in the control panel (Service – License Activation tab). If you have any further questions you may contact our support team via online chat or email: [email protected] We are always pleased to help You.